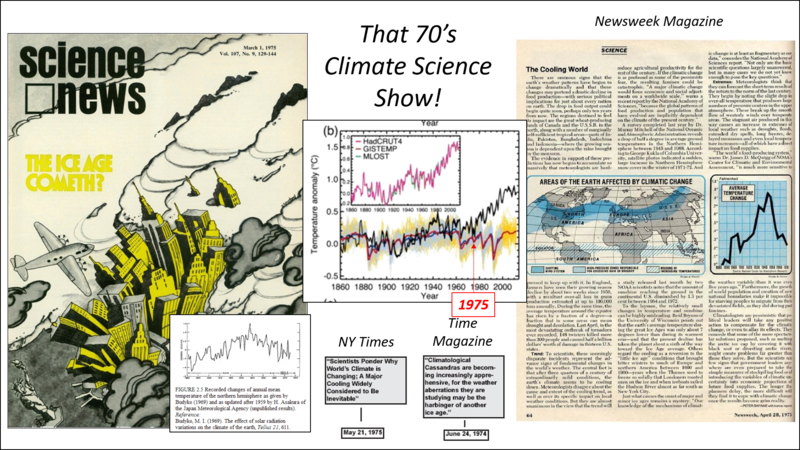 The New York City Climate Museum… Really? | Watts Up With That? The New York City Climate Museum… Really? A trip to a New York park may offer an emblematic view of the Manhattan skyline and New York Harbor, or a relaxing glimpse of green foliage. But these days, those scenes may be partially blocked by a blinking sign with an unusual message. The signs are the work of Justin Brice Guariglia, an artist and environmental activist whose work is sanctioned by the city. Called “Climate Signals,” the exhibit runs through Nov. 6. Presented by the Climate Museum, in partnership with the mayor’s office, the exhibition includes 10 solar-powered signs installed in parks around the city. Wait a second… Aren’t Manhattan-sized icebergs supposed to be a sign of Gorebal Warming? Sep 26, 2017 – The U.S. National Ice Center measured the iceberg at 71.5 square miles, about three times the size of Manhattan. Previous media reports had the iceberg at over 100 square miles. CLIMATE CHANGE IS THE CHALLENGE OF OUR GENERATION, AND A MUSEUM CAN INSPIRE CREATIVE SOLUTIONS. BECAUSE NOT ENOUGH MUSEUMS COVER CLIMATE. Dude! Check out the American Museum of Natural History… It’s right-fracking there in New York City. This can be the Climate Museum’s first exhibit! And they can show this in their IMAX theater! Now that would be a great practical joke. Tow an iceberg into Nrw York port in the middle of the night. I wish Trump would call them on it and say we need to fight climate change so that Canada is beneath a mile thick glacier. Scenario C essentially had humans undiscovering fire in 1999. The numerical value of a temperature change under the influence of a CO2 change as calculated by Plass is valid only for a dry atmosphere. Overlapping of the absorption bands of CO2 and H2O in the range around 15 μ essentially diminishes the temperature changes. New calculations give ΔT = + 1.5° when the CO2 content increases from 300 to 600 ppm. Cloudiness diminishes the radiation effects but not the temperature changes because under cloudy skies larger temperature changes are needed in order to compensate for an equal change in the downward long-wave radiation. 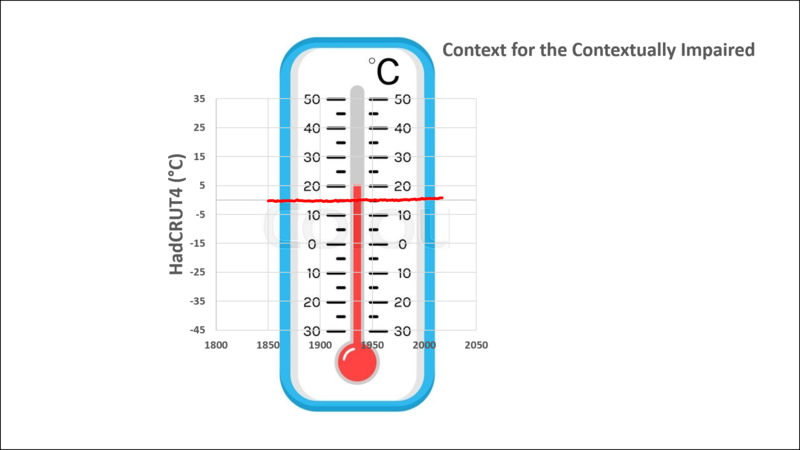 The increase in the water vapor content of the atmosphere with rising temperature causes a self-amplification effect which results in almost arbitrary temperature changes, e.g. for constant relative humidity ΔT = +10° in the above mentioned case. It is shown, however, that the changed radiation conditions are not necessarily compensated for by a temperature change. The effect of an increase in CO2 from 300 to 330 ppm can be compensated for completely by a change in the water vapor content of 3 per cent or by a change in the cloudiness of 1 per cent of its value without the occurrence of temperature changes at all. Thus the theory that climatic variations are effected by variations in the CO2 content becomes very questionable. In this case, we must distinguish between the assumptions that the water vapor content (in cm l.e.) remains unchanged in spite of heating (cooling) of the atmosphere and that it increases (decreases). Constant absolute humidity means that the relative humidity (f) decreases from 75 to 70.34 per cent with a 1° or lowered by 4.66 per cent per deg. According to the above-mentioned calculations, an increase in CO2 from 300 to 600 ppm gives us a temperature change ΔT = +1.5° for Δf = -4.66 per cent per deg, and a temperature change ΔT = +9.6° for Δf = 0. We recognize that for Δf = 0.8 per cent per deg the temperature change becomes infinite. Very small variations effect a reversal of sign or huge amplifications. It is not too difficult to infer from these numbers that the variation in the radiation budget from a changed CO2 concentration can be compensated for completely without any variation in the surface temperature when the cloudiness is increased by +0.006 or the water vapor content is decreased by -0.07 cm l.e. These are variations in the cloudiness by 1 per cent of its value or in the water vapor content by 3 per cent of its value. No meteorologist or climatologist would dare to determine the mean cloudiness or mean water content of the atmosphere with such accuracy; much less can a change of this order of magnitude be proved or its existence denied. Because of these values the entire theory of climatic changes by CO2 variations is becoming questionable. 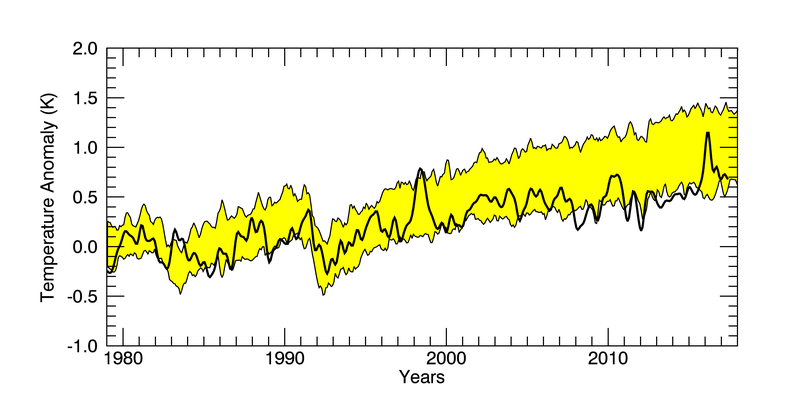 The entire theory of climatic changes by CO2 variations is questionable. A claim that the NYT tried to obfuscate by focusing on and presenting modeled 90°F days as actual temperatures. Where a greater number of 95°F days would naturally entail a greater number of 90°F days. Not greater? Busted! Even when Betts bet on the fake alarms. Thank goodness we are no longer in the Little Ice Age. Warm is good, cold is bad. I fail to understand the value of frozen poles. All that ice is getting in the way of extracting the resources of the arctic and antarctic. Plugging 90 odd volcanoes though. I suppose from that perspective it’s useful. As long as the volcanoes aren’t climate changing in size, what’s wrong with more CO2 and some volcanic ash for fertilizing? That’s easy — the reason is Santa Clause — without the northern frozen pole, the greatest childhood myth of all time would be threatened. No North Pole, no Santa, … mercy me, then we’d have to tell all the children that Santa and his flying pets no longer had a home. THAT would be worse than the polar bear myth. It’s all about the children, you see. Kill the North Pole, and you kill Santa. Santa can relocate to the South Pole. Even of all the ice melted there (not gonna happen) there’s actually land under that ice. Yah, but… there’s penguin crap everywhere. It’s worse than geese on a golf course. Which is why many of them emigrated to Canada and America, accepting various offers like Farming in Canada and coal mining in America. Apparently you’ve never been to Poland. you are so amazing, betts. for your next act, maybe u can get grants to pay for establishing that water is wet. Rather than ‘remembering’ trivial chimera offered by faux alarmist, let’s take a moment to remember real and present dangers to civil societies. Today is 9/11/2018. 9/11/2001. Never Forget….. Guess what? At any point in time, the climate is likely to either a)warm some, or b)cool some, even though the measurements themselves are imprecise and subject to error. In any case, a blind monkey has a 50/50 chance of guessing right, which way it goes. 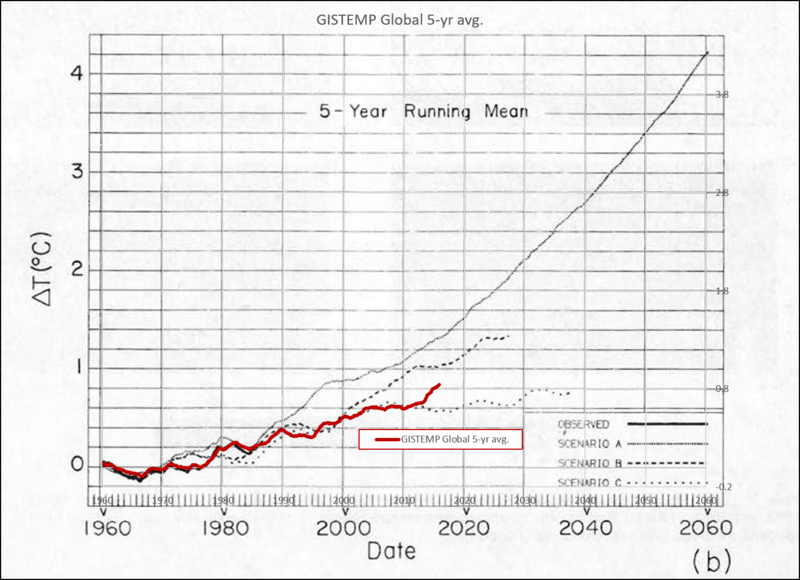 Given the then already known, multidecadal natural cyclic variation in global temperature (practically impossible to measure precisely), it was reasonable to assume in the 1970s that Earth would warm slightly. But many scientists nevertheless expected the pronounced cooling trend since the 1940s dangerously to continue. The cooling from the end of WWII until the PDO flip of 1977 occurred despite steadily rising CO2. sarc/ I am confused. I thought we were still in an ice age as there is still ice existing in glaciers and at the poles. The Earth IS in an Interglacial, a brief respite befor the glaciation gets back to it’s ugly best. That is what is so profoundly shocking about the handwringers tale….and that this has been taken up by Western Governments, supported by those who see an opportunity for free cash ( Fiji et al). FORECASTING THE FUTURE. We can now try to decide if we are now in an interglacial stage, with other glacials to follow, or if the world has finally emerged from the Cenozoic Ice Age. According to the Milankovitch theory, fluctuations of radiation of the type shown in Fig. 16-18 must continue and therefore future glacial stages will continue. According to the theory just described, as long as the North and South Poles retain their present thermally isolated locations, the polar latitudes will be frigid; and as the Arctic Ocean keeps oscillating between ice-free and ice-covered states, glacial-interglacial climates will continue. Finally, regardless of which theory one subscribes to, as long as we see no fundamental change in the late Cenozoic climate trend, and the presence of ice on Greenland and Antarctica indicates that no change has occurred, we can expect that the fluctuations of the past million years will continue. It would take quite a large exhibit to go through the climate and other environmental predictions that failed to actually happen. The Paul Ehrlich Hall could be a start. 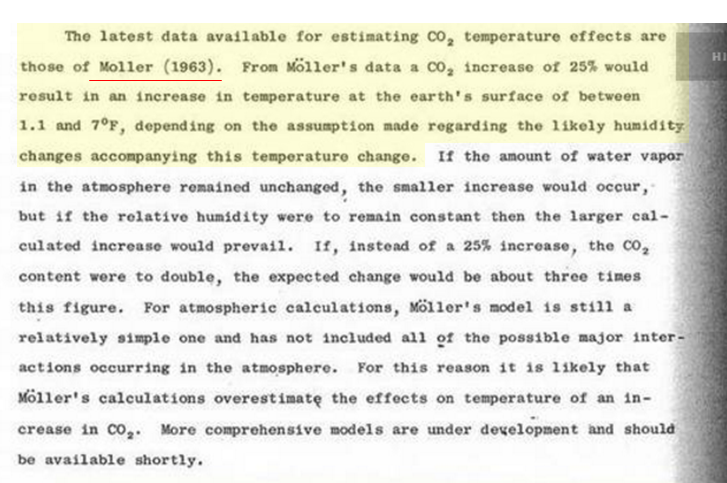 A climate museum will be very appropriate once the AGW myth is debunked for good. 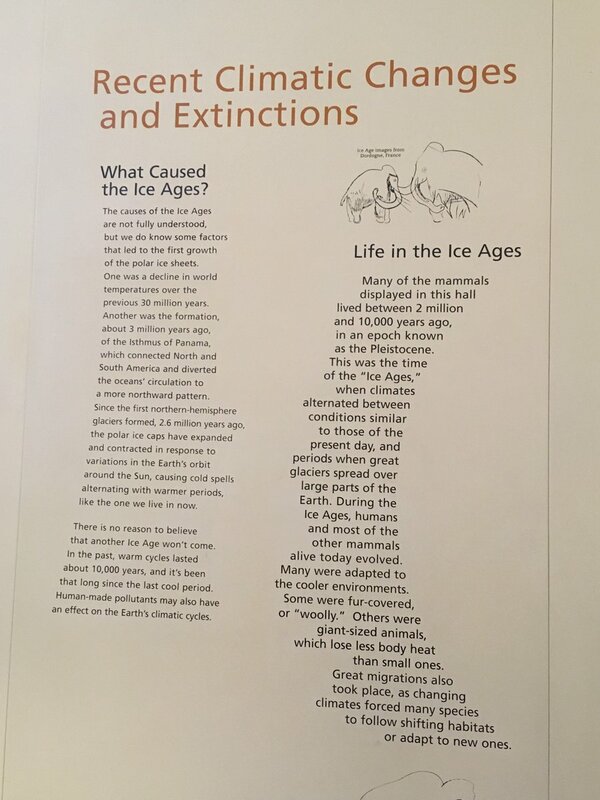 Yes, there’s a big story the Climate Museum has to tell but it’s not about the climate, it’s about the climate fraud. Will the museum have a display for the TCRE? Transient Climate Response to Cumulative Emissions? And the carbon budgets for 1.5C and 2C derived from the TCRE? Surely a ‘Climate Museum’ is simply a long passage which is hot and dry at one end, and cold and wet at the other…..? 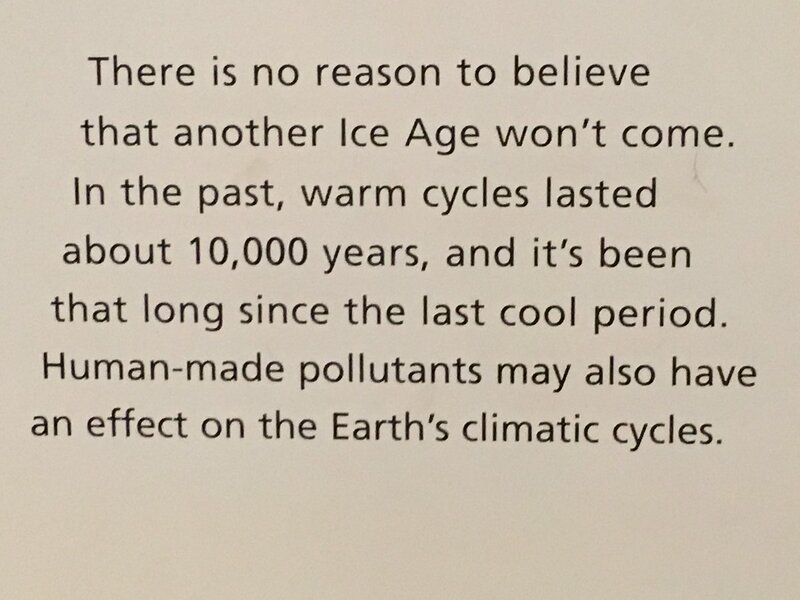 No, a climate museum would consist of a series of staircases, going up and down to different levels — up to a level that was warm, where exhibits of life characteristic of this climate might have thrived, down to a level that was cold, then up again, then down again, … you get the idea. There would be no handicapped or special needs accommodations to get up and down those stairs either, because we would want to keep it real, where only the physically strongest could do the tour. And the tour would even be timed for the strongest, in order to weed out the strongest and most intelligent of the bunch. You would have to be fit, fast, and intelligent to compete in this setting. Each top winner would receive a t-shirt that reads, “I’m glad to be alive”. They should have ladders going up and snakes for sliding down. What exactly does “No Icebergs Ahead” mean in this regard. I think I have missed the activist’s message. It’s the Climate Museum’s Board of Trustees. Success(!) — they pretty much got rid of white males. Unfortunately, that’s a photograph of some victims. The Board of Trustees claim to be adults. Scroll down the page a bit to find the adults who are the real power. The usual suspects… Francis Beineke, Michael Oppenheimer, etc. One of the functions of a BoD for a non-profit is to come up with the money to sustain operations. Often, the BoD itself kicks in lots of cash. Maybe these folks are wealthy? The actual board members are on the bottom half of the page. The picture is just a bunch of kids. Using kids as human shields. typical of the left/alarmists. I am constantly impressed by their inventiveness in ways to take other people’s money for no effort of their own. That’s what I named my blog and it’s my author handle here. 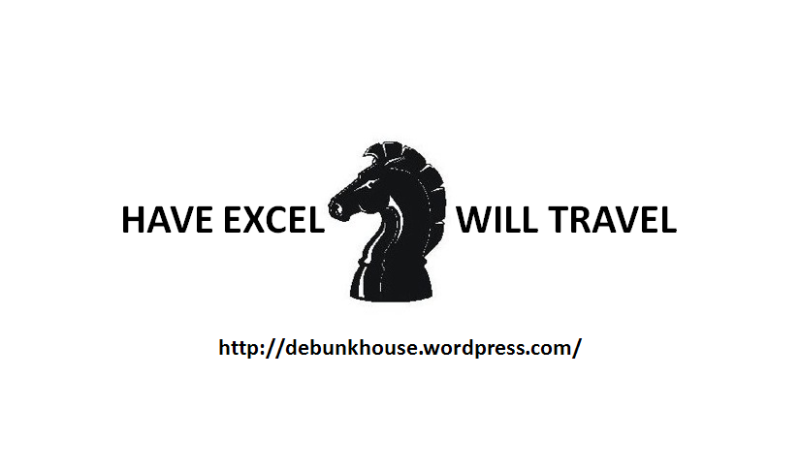 Debunkhouse has become more of a scratch pad and file cabinet than a blog. Ask anyone aboard the Titanic. No icebergs ahead is a good thing. presumably it’s meant to be a bad thing. However, as life thrives in a warmer world, No icebergs ahead would actually be a good thing. We already have museums of a similar sort, government funded, and I am paying taxes, local and federal for them. It is on the Rockport Beach–the Mission-Aransas Research Reserve. It is still out of action from Harvey, built too low on the beach. There was no significant storm surge there, but somehow damaged enough not to be yet reopened. At the University of Texas Marine Laboratory in Port Aransas, the Reserve addition had solar panels at a near 45 degree angle, ended up on the ground with roof damage. Building is stuck up high, saying “blow me over,” but wind was kind this time. The NOAA Research Reserve program is all over the country. Click on Science on a Sphere. Looked like a planetarium. Google Earth was kind enough to put up a post hurricane view shortly after the storm, but they have been changing things around so not sure if it is still there. I don’t know where we get coastal architects these days, but marine science administrators may be too much isolated to know what’s going on. There are also some similar coastal academic buildings around. Others, non academic, but also too high, are already being put back up in storm area. It’s not as if we didn’t have Katrina, Rita, Ike, etc. Rule number one, build not too high, not too low. Rule number two, see rule number one. Rule number three, don’t stick pretty cosmetic stuff up in the wind field. Here’s museum-quality information you aren’t going to find in the NY City Climate Museum. It’s from the Gallatin History Museum (Bozeman, MT). It describes 27 cross-sections of large-diameter trees recently exposed along the margin of a melting ice patch in eastern Greater Yellowstone. The trees are located ~250 meters above the nearest modern treeline of equivalent size trees. Wood anatomy indicates the trees were all a species of 5-needle pine, with distinct transverse dimpling, suggesting they are most likely whitebark pine (Pinus albicaulis).
. . . so during the mid-Holocene when pre-industrial CO2 concentrations were ~130 ppm lower than today (~270 ppm plus or minus), the treeline was ~250 meters higher. Receding treeline. I think they have pills for that now. Where’s the social justice? My treeline has been receding proportional to rising CO2 emissions! This just shows the narrow-mindedness of the folks that write this stuff. Greenland, or Argentina, namely big! Their sizes are important. It is the function of Manhattan that is important — not its size. Of course those chunks of ice are curious things, but of little importance. When Yellowstone pops off it’s next ultra-Plinian eruption, how many Manhattan-sized rock-bergs will it toss into the air? Or Lake Michigan’s worth of Ash spewed into the stratosphere? Or Olympic Sized Pools of Magma? Clearly, this is non-profit speak. Who, in the real world, even talks like that? (^_^) I might seem sexist, but the writing style has a distinctly flowery, feminine tone to it. The Climate Museum will provide a center for people from all walks of life to focus on the challenges of a changing climate. As a place filled with different opportunities, it will cultivate a sense of shared purpose in meeting these challenges. It will be a landmark of New York City culture, serving to draw people together around themes of social justice, public health, and urban design, as these themes relate to climate change. The Climate Museum will provide a propaganda center, mainly for children or for those who choose to think like children on the subject of a changing climate. As a place devoid of all but consensus-approved opportunities, it will indoctrinate people with a sense of shared purpose based, not on facts, but on the fiction of human-caused climate change. It will be an eyesore of New York Culture, serving to conflate the themes of social justice, public health, urban design, and climate change in such a way as to make problems in any one of the former a direct result of the latter. Well done, sir, well done! Plus one for you! I believe they are referring to “iceberg beliefs” – ideas or emotions which drive you, but which sit mostly below the surface of your consciousness. More psychobabble. These days, anything at all is seen as climate change. 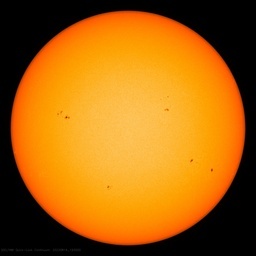 Even the sun rising in the morning or the advent of spring can be seen as climate change. The absence of a horrendous Ice Age, disastrous as it would be, is seen as dangerous Climate Change, These people need to go in for a brain overhaul before they suffer a terminal meltdown. Those are small icebergs, I’ve personally seen bigger ones even on a run-of-the-mill tourist trip to Antarctica. Now take iceberg B-9, the one that caused so much trouble to the “Ship of Fools” a few years ago. It was about as large as the state of Delaware when it broke off from the Ross Shelf in 1987. Today, after thirty years of breakup and melting it has shrunk so it is now barely bigger than Rhode Island. That is a big iceberg. A68 which broke off last year and is starting to move away from the Larsen-C ice shelf is even bigger than B-9 was.